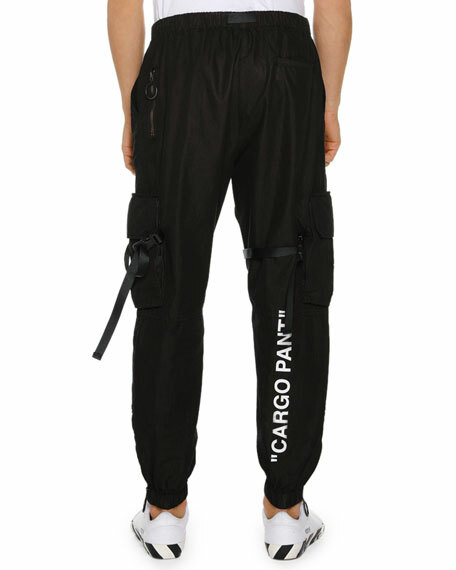 Off-White parachute pants in solid weave with air quote detail. 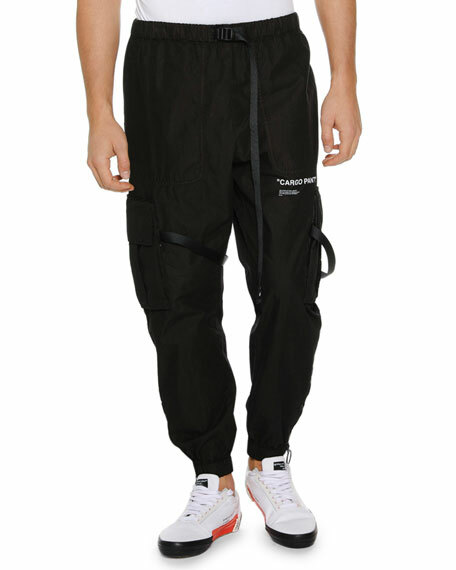 Side slip pockets; one welt and one zip pocket at back. For in-store inquiries, use sku #2614214.